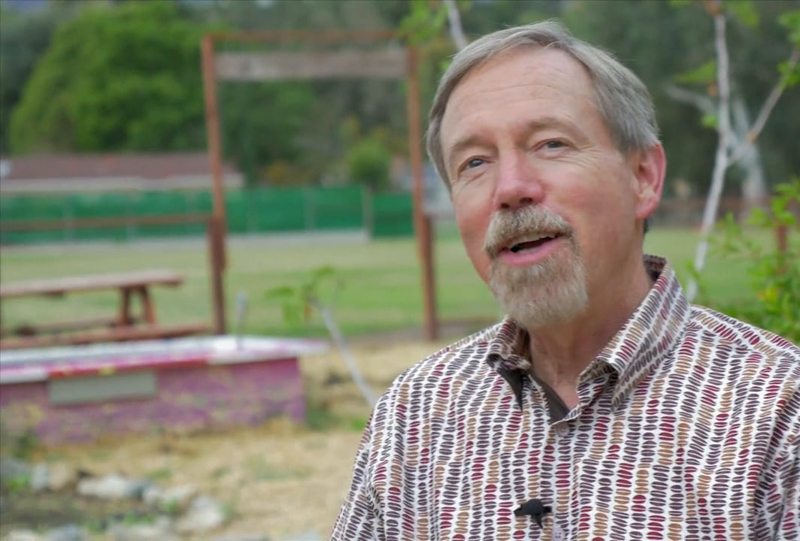 Permaculturist and author Toby Hemenway passed away Dec. 20, 2016. 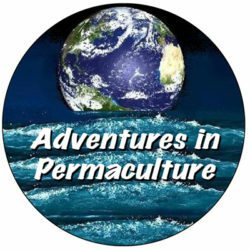 When Toby Hemenway gave the keynote speech at last September’s North American Permaculture Convergence, I must admit I was a bit perplexed. I found his talk, “Permaculture for Liberation,” a pedantic little history lesson on horticulture. Horticulture? 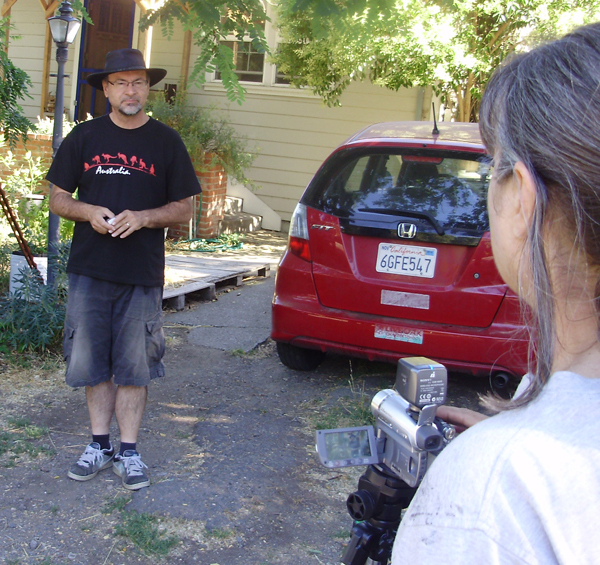 Why not plug his latest book, The Permaculture City? That’s the present – the future! Why give a relatively drab academic overview of how humans moved from hunting and gathering societies to agriculture? Three months later, Toby died suddenly from pancreatic cancer. When I learned he had been fighting the disease for more than a year, I went back over my notes from the convergence. It all became clear. Toby had been giving this history lesson for the past decade. Despite the professorial tone, it was his most urgent message ever: civilization as we know it is headed for collapse and permaculture might be our best hope for survival. Horticulture? Toby traced three stages of evolution in the way humans have secured their food. 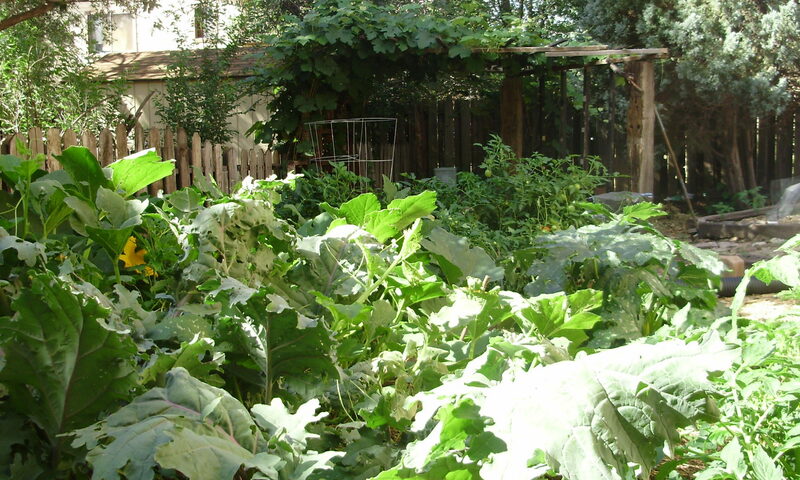 We started out foraging, then learned how to tend crops – or garden – and then became farmers. Farming meant plowing and planting. Agriculture meant clearing land – usually by fire – and turning ecosystems into large-scale mono-crops. It required a lot of energy. Most significant, agriculture gave rise to government. Yes, hierarchical, centralized systems were invented to control our newfound surplus. Lords and kings took control of land – which had always been considered communal – then decided they could own it as well. Kingdoms and states invented taxes and found grains easy to count and tax. People Toby called “aggrandizers” – those tempted to take more than their fair share – could be tolerated, controlled or eliminated in small foraging communities. In larger centralized governments, aggrandizers not only amassed real estate but dangerous levels of power. “A small group of people have taken control of the commons and they’re selling it back to us at an extremely high price,” he said. Somewhere between foraging and agriculture, however, humans discovered horticulture. Hunter-gatherers learned enough about plant varieties to become gardeners. These societies used tools and small-scale equipment to cultivate a mix of crops. Ecosystems were enhanced, not destroyed. Humans did this for at least 10,000 years. Horticulturists from what we now call the Middle East, China and South America didn’t need real estate, beasts of burden, slavery, machines, massive amounts of energy, states or rulers to feed their people. Toby said that permaculture is a modern path forward to a horticultural past. Toby’s vision has become even more clear to me as our current state enters a new era with a new president who, if nothing else, is starkly honest about how little rulers care about commons. Large, centralized governments cannot solve the problems we face in the 21st Century. We must pioneer a path forward to the past, liberating ourselves and our troubled ecosystems. And Toby believed this work is absolutely urgent. Thanks, Toby. Go in peace! Thanks Steve, this very well put and a tribute to Toby. I totally agree.